Join us for one day of exploration into permaculture. You’ll gain a solid introduction to permaculture foundations and the framework to design your own home in the city or out bush. Immerse yourself in a proactive day of thinking, learning and exploring avenues to respond to some of the biggest social, environmental and economic challenges of our time in a proactive and positive way. Learn the basics in how you can apply permaculture to everything from house design, food production, energy systems and community development, all with a distinct Tasmanian flavour and focus.. Your permaculture course has completely changed my focus and approach towards my surroundings. I now have a clear vision and outlook of what I want to achieve In my garden and beyond. I have since been describing your course as a springboard. I left feeling inspired to continue learning more about permaculture and to take the first steps to creating a garden for my family to enjoy. Exploration of permaculture in action in urban and rural contexts. This is not a hands-on gardening course. This course is an engaging combination of theory and interactive group work. If you’re after a hands-on workshop have a look at what we have coming up here. Two green thumbs up. Structure of the day, variety of delivery of information, engaging activities, amount of content covered, general warmth and enthusiasm all brilliant . Hannah Moloney is Good Life Permaculture’s lead landscape designer and educator. 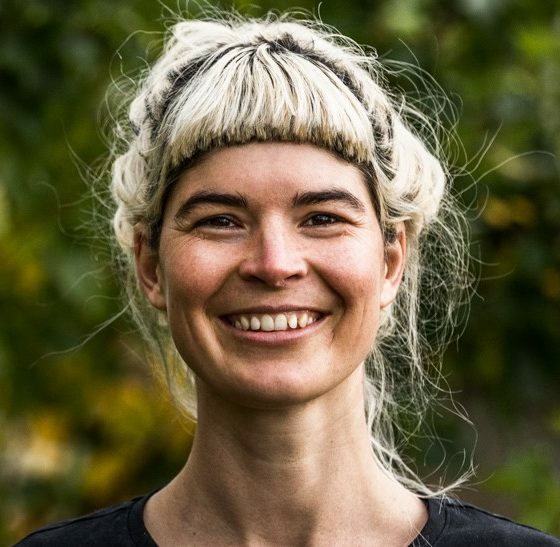 She grew up on a city farm in Brisbane growing herbs and has over 15 years of hands-on experience in designing, building and managing projects around urban agriculture, small-scale farming, permaculture and community development, including co-founding the Hobart City Farm. She has a post-grad diploma in community cultural development, a diploma in permaculture and since 2009, has been teaching permaculture across Australia. She’s had the pleasure of learning from Rosemary Morrow, Dr Elaine Ingham and David Holmgren. In recent years Hannah has had the pleasure of teaching alongside some of the most celebrated permaculturalists in the world including David Holmgren (co-founder of permaculture), Rosemary Morrow and Dave Jacke.. I think Hannah brought together senses of welcomeness and openness, whilst being informative and fun. Was really impressed. We’re holding this course at the Sustainable Learning Centre in Mt Nelson, Hobart. We’ll provide all details on how to get there for our students just before the course.. Such an interesting venue. Loads of drinks and delicious dip and cake!. There is no refund available for this course. If you’re unable to make it we encourage you to pass your place onto friends or family.. I found it very inspiring, lovely to spend a weekend with like minded people while learning more about how to live sustainably while still enjoying a comfortable lifestyle.